Speckled klipvis, Clinus venustris. 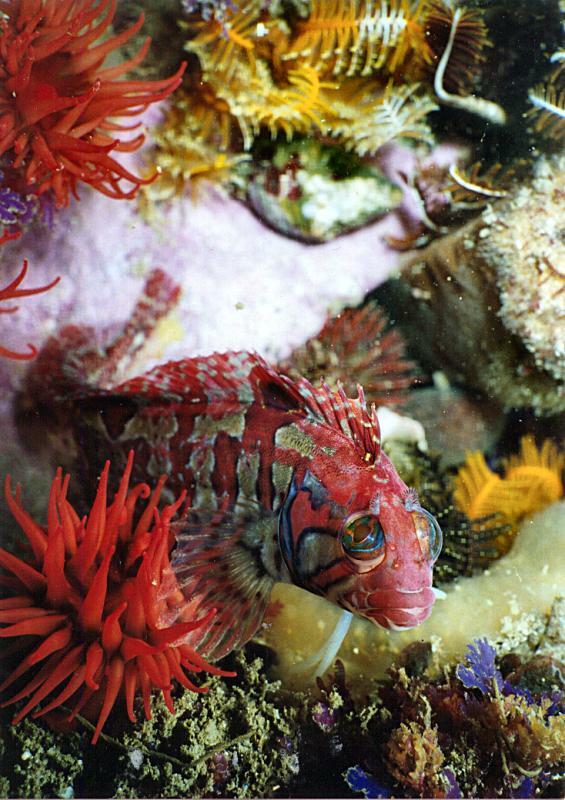 Taken at bell buoy reef in Port Elizabeth in June 2001 at 10m, using a sea and sea Motormarine II EX camera, YS 60 strobe and a T2 macro kit. Curt was astonished when he got this picture back from processing; he had stalked the fish for quite some time until it posed in a good position, and what appeared to be a dull brown fish underwater turned out to be a riot of colour. The print we have shows the colours far more vividly than this scan.